Fantastic reviews for Loyalty and Honour from the fabulous Tudor Chronicles. 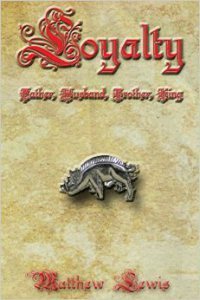 Loyalty and Honour are two books by Matthew Lewis that very cleverly spans across two reigning families, the Plantagenets and the Tudors. Both books alternate between eras effortlessly with Hans Holbein linking the two eras. Loyalty opens with the painter Hans Holbein receiving a mystery summons by Sir Thomas More where they meet and More begins to tell a story that will change Holbein’s perception to history and the rise of the Tudors. It certainly had me gripped to learn what Sir Thomas More had to say.